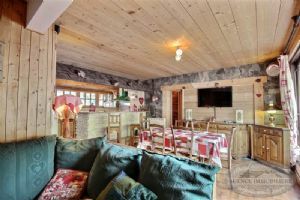 A super 3 bedroom apartment with parking on the ski bus route in Morzine. The most popular properties in Morzine - With no fudge! French Property Links (FPL) is one of the most popular portals for French property. And increasingly FPL is getting a reputation for being a great site for Ski property. As a result they have a lot of data regarding the types of property that appeal most to UK buyers. This article gives a snapshot of what's most popular as of January 2018. Often these articles publish a selection of properties with no clear reason for why they have been selected. But this page is different! We haven't selected these properties... you have. The properties here are showing because the are the most requested properties in Morzine on the French Property Links website. One factor that has been factored in is the amount of time a property has been on the market. Properties that have been on the market for a while will usually get a higher number of enquiries - just as a result of being around longer. But don't worry we've taken that into consideration and they won't necessarily rank higher here! To make sure that we have a variety of properties from a range of agents, the list below includes a maximum of one property per agent. So you can see the best available from a wide range of agents. So if you want to buy a property in Morzine you should check out this list. It shows you exactly the properties that are popular... and should provide a quick route for you to find the best there is. And if you go ahead and buy one of the properties then find yourself needing to sell, you'll be rest assured you've got something that is going to appeal to the market. Are you trying to sell a property in Morzine? 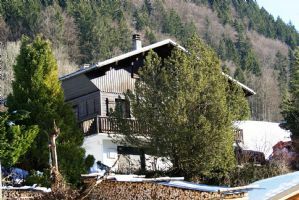 If you are an agent or private advertiser with property for sale in Morzine then you should consider giving French Property Links a try. You might even find your property at the top of this list! New agents gain a free trial and private advertisers get a money back guarantee (see terms for both). So why not give it a try? If you do try and it doesn't work it won't cost you anything. If you don't try you might miss out on a sale! The list below shows the most popular properties in Morzine with the best first. So the first property is the most popular property in Morzine available throughout the whole of the French Property Links website! This chalet has just come onto the market and it won't there for long! 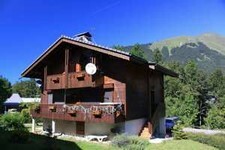 It has a great location above the centre of Morzine, with a 180° view over the village and the Pleney slopes. Due to its elevated position the terrace and the garden get lots of sunshine. It is within walking distance to the centre and the free ski shuttle bus can take you in no time to either the Morzine or the Avoriaz slopes. 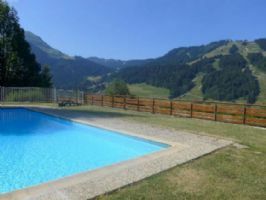 Located on the sunny side of Morzine facing the Pleney, this apartment benefits from a residence with a swimming pool. Savoyard style three-bedroom apartment for sale in the heart of the village of Morzine. Located on the 3rd and last floor of a well maintained residence, it offers 3 double bedrooms, 2 bathrooms and 2 beautiful South facing terraces with lovely views and the ski slopes of the Pleney. If you know what you want - but these don't hit the mark don't forget you'll find a much bigger selection on our main Morzine property page.